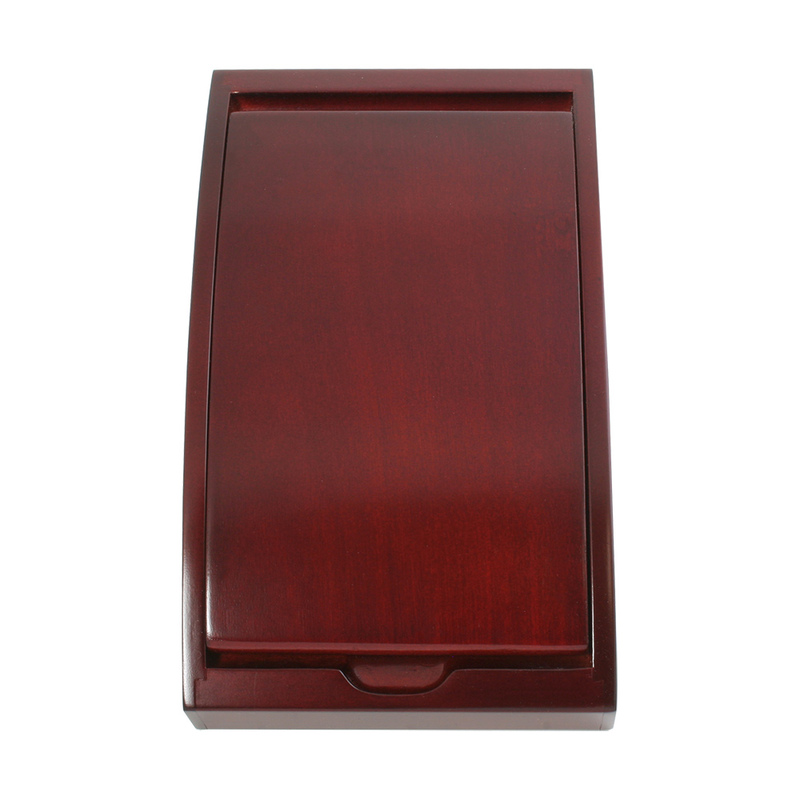 A small, arched wooden box in rosewood finish. Perfect for storing smaller accessories such as business cards or stationery accessories. Will not fit pens or pencils.